BEIRUT (CNS) — Two Syrian-born patriarchs separately urged the international community to work together to address the crisis in Syria and the region. 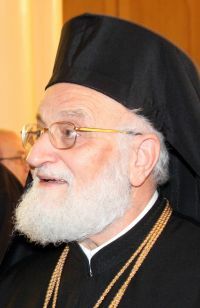 Melkite Catholic Patriarch Gregoire III Laham, speaking to Catholic News Service Feb. 26 from the patriarchate in Damascus, Syria, said “it is shocking that the whole world” has not responded in a proper way to the crisis in Syria. He called for unity in reference to the Islamic State onslaught against Assyrian Christian villages in the Khabur region of northeast Syria. 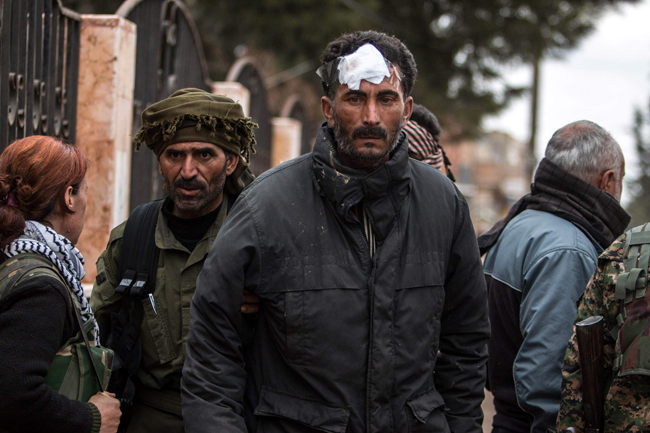 Various reports listed those captured by Islamic State as ranging from 150 people to more than 400. Father Emanuel Youkhana, who heads the Christian Aid Program Northern Iraq, CAPNI, said none of the more than 50 families in one entire village managed to flee during the assault, which began in the pre-dawn hours of Feb. 23. He said he expected the number of displaced registered families from 35 villages to reach 1,200 families by the end of the day Feb. 26. They have been sheltering in homes and churches in Hassakeh and in Qamishli. So far, he said, about 15 young Assyrians had been killed; many of them were fighting to defend and protect villages and families. “It is time for the international community to work very closely with Syria and also with Iraq, who are really the real victims of these ‘takfiri’ and jihadist groups,” Patriarch Laham said. Rather than the “very unrealistic” current approach “to support the weak and divided so-called opposition, it is better and more realistic to help Syria and get together to overcome these jihadist takfiri and inhumane groups of Daesh (the Arabic acronym for Islamic State) and so on,” Patriarch Laham said. “Today the danger is an extremely universal one,” he warned. Patriarch Laham said he has been in contact by phone with Bishop Aprim Nathniel of the Assyrian Church of the East in Hassekeh, Syria, who is hosting and supporting the displaced. Patriarch Laham expressed concern about the fate of the churches in the 35 villages the Assyrian Christians fled, noting that there is at least one church per village; he said nothing was yet known about their status. In a Feb. 25 statement, Syriac Orthodox Patriarch Ignatius Aphrem II of Antioch condemned the killings and terrorist acts that targeted the Christians of the Khabur region. He called upon the international community to work for the “immediate and unconditional release” of all kidnapped and detained people. In his statement, released during a pastoral visit to the Netherlands, he said he prays for those who died in the Khabur attacks and for the return of those who were forced to leave their homes and villages. Bassam Ishak, president of the Syriac National Council of Syria, said Feb. 27 that he believed Islamic State militants were headed for a new offensive, and he called for international military intervention. “Christians in the city of Hassakeh called me. They are very scared,” he said.